Education is the key to your success! 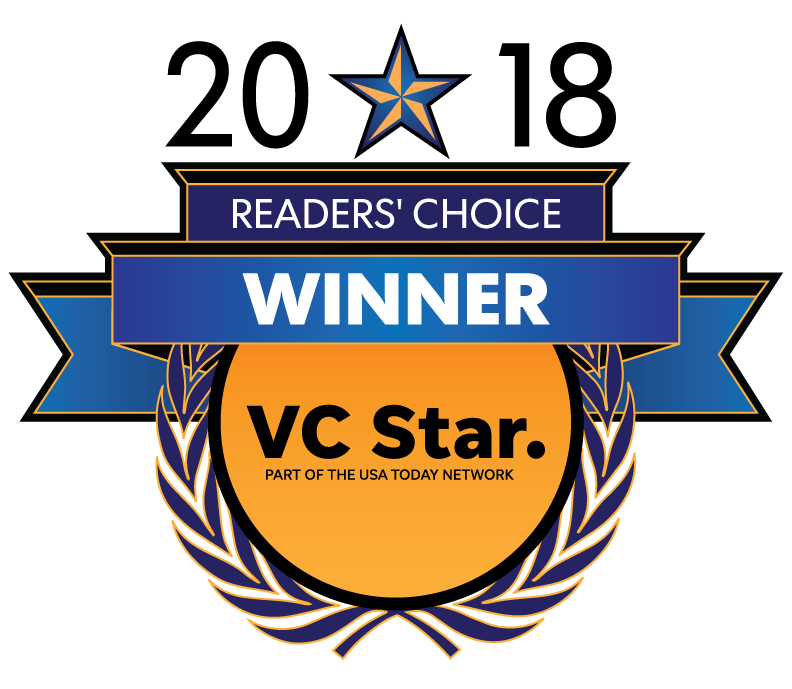 VACE was voted 2018 Best West County Trade School for the third year in a row! The Workforce Development Academy (WDA) provides training to help job seekers improve existing skills and develop new ones. Call 805-289-1744 to reserve a seat. Click to get details on the WDA classes! Terry Wieser teaches Photoshop again! Terry is teaching the evening Photoshop class again. Learn to use Photoshop on a Mac platform. Call 805-289-1744 to reserve a seat. Click to get details on the Community Enrichment Photoshop class! Learn Microsoft Office 2016 in classroom lab and Hybrid Learning locations. This course is designed to create a learning pathway for deeper knowledge of the Microsoft Office Suite with the goal of achieving Microsoft Office Certifications. Call 805-289-1744 to reserve a seat. Click to get details on the MS-Intro class! VACE has updated our Gain a Career in Under a Year programs! Click to visit the Career Technical Education page for details. Are you a senior in need of computer skills? Check out our FREE ENCORE program! VACE Awarded "Health Champion Award"
VACE was awarded the "Health Champion Award" by the Ventura County Board of Supervisors. Upgrade your accounting skills, whether for home or business. Accounting is a precise discipline that requires knowledge of both basic concepts as well as computer applications. Learn to apply concepts using QuickBooks Pro. These subjects are taught as a series of individualized, self-paced courses. Each subject is a separate course that may take more than one 10-week session to complete. Lab fee $125 per 10-week session, plus cost of book. Certificate upon completion. Become a CAD drafter or upgrade your design skills. Learn professional quality drafting in two important areas: CAD 2D design and 3D solid models. Unleash your design creativity by building your computer skills in industrial design. These classes are imperative for dedicated CAD professionals as well as those seeking to enter the industry. Upgrade your CAD design skills. Continue to learn professional quality drafting in two important areas: CAD design software and solid modeling software. This course builds on the concepts learned in AutoCAD Basics. Built on the Revit platform for building information modeling (BIM), Autodesk Revit Architecture software is a building design and documentation system that supports all phases of design, construction documentation, and even fabrication. From conceptual studies and analysis of a project’s development through the production of the most detailed construction drawings and schedules, Autodesk Revit Architecture helps deliver better coordination and quality across project phases and disciplines. Autodesk Revit Architecture contributes to better efficiency and higher profitability for architects, designers, and the rest of the building team. Lab fee: $125 per 10-week session, plus cost of book. Certificate upon completion. Solid modeling will enhance and extend your industrial design capabilities. Learn the fundamentals of Solid Works drawing commands involving 3-D solid modeling to produce high-end industrial models. •	Microsoft Windows–Beginning with an overview of computer hardware and software, the course also demonstrates running application programs, moving and sizing program windows, saving and printing. Windows online Help and file maintenance are also covered. •	Microsoft Office, A Basic Introduction–An easy, fun way to learn the basics of word processing, spreadsheet, database and presentation techniques with hands-on projects that fit your daily life. •	Microsoft Access, Beginning through Intermediate–The skills learned in this course include modifying and building tables, viewing and organizing information, using Access tools, building and modifying forms, planning and designing databases, producing reports and integrating with other applications. •	Microsoft Excel, Beginning through Advanced–Learn to work with spreadsheets and workbooks, create formulas, use charts and other objects to enhance a spreadsheet, integrate data with other applications, and much more. •	Microsoft Word, Beginning through Advanced–Begin by learning basic techniques for working with documents, paragraphs, pictures and charts. Progress to learning advanced features such as macros and creating forms, creating tables, using mail merge and collaborating with workgroups. •	Microsoft Power Point–The skills taught include creating and customizing a presentation, working with visual and sound elements, text editing, managing files, delivering and modifying presentations. •	Keyboarding–Develop touch-typing accuracy and speed. Lab fee $75 per 10-week session, plus cost of book. Certificate upon completion. Learners will be introduced to Microsoft Office 2016 in classroom lab and Hybrid Learning locations. Course will meet one night per week for ten (10) weeks at VACE with a Microsoft Certified Instructor. Learners will complete activities at their own pace at home or other location and submit their work to the Instructor. This course is designed to create a learning pathway for deeper knowledge of the Microsoft Office Suite with the goal of achieving Microsoft Office Certifications. Microsoft Certifications provide proof for employers of the person’s mastery of Microsoft Office Applications. No previous knowledge of Microsoft Office is necessary, however, learners should have access to a PC computer (not MAC), MS Office 2013 or 2016 installed, and previous Windows experience. A Google G-mail account is necessary to download course materials and upload completed student work. Lab fee $75 per 10-week session, plus $10 registration fee. Certificate upon completion. Want to kick up your Office skills? Attend hour-long sessions in our Microsoft Office Boot Camp class presented by Susan Vinson. Sessions run every Thursday from 4 pm to 5 pm. FREE for VACE students, grads, and staff members! Not a VACE student, grad, or staff member? Join us for this FREE series of classes! The sessions consist of lecture, practice, and slide shows on popular Office topics. Learn to edit and manipulate computer graphic images for output to print, video, and the internet. This course will instruct students on the creation of images, the use of special effects and filters, and the basic animation of graphic images and video. Students will also learn importing and exporting files and programs, evaluating compatibility issues, and creating images using digital cameras, digital video and scanners. Basic computer operations will NOT be covered. Learn to design using the tips and tricks that seasoned professional graphic designers use. This class teaches using Quick Keys, understanding industry lingo, using filters and effects, seamless photo editing, and identifying photoshopped images. This is a lecture- and tutorial-based class. Basic knowledge of Adobe Creative Cloud is required. Basic computer operations are NOT covered. Prepare for an exciting career in the medical industry. A wide range of class offerings opens opportunities to move into medical office work or to upgrade skills. Copyright 2009, Ventura Adult and Continuing Education. All rights reserved.